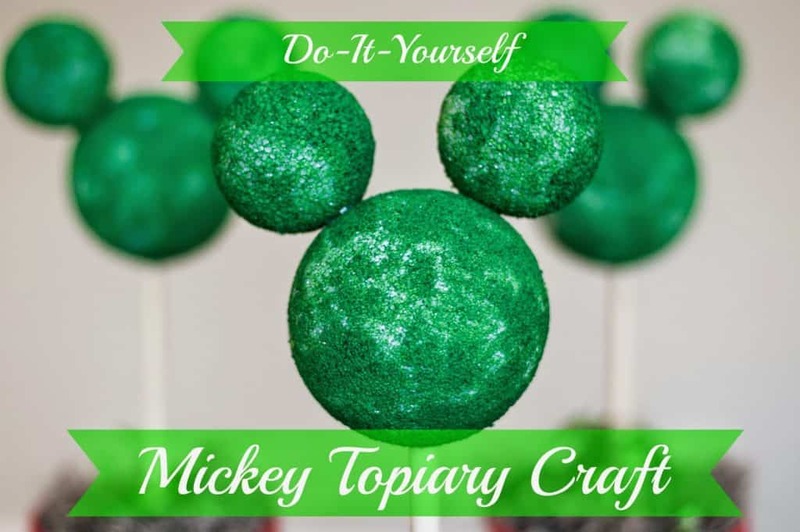 You don’t have to be a Disney Imagineer to create your own Mickey Topiary! Not only is the craft simple, but it won’t require watering or trimming! could be found all over the park. The detail in Snow White’s face is amazing! I love how the characters are magically brought to life using all natural materials. They are absolutely breathtaking. Photo: Disney. 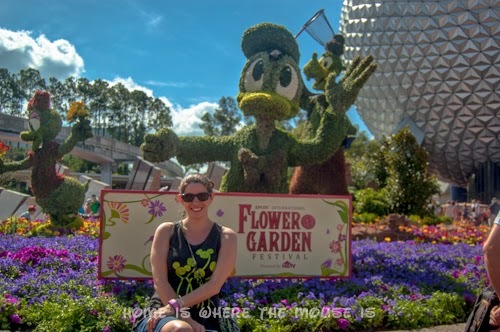 A Cast Member gives a Mickey Topiary some TLC. 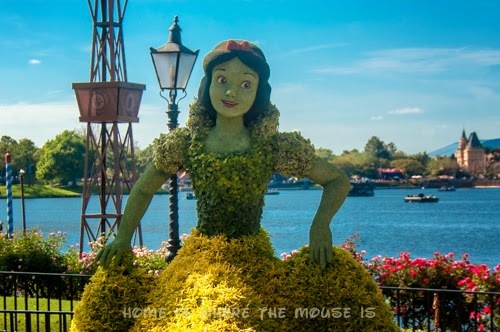 Disney Imagineers put forth great time and effort into creating their amazing displays. Their creations go from drawing to frame in a time span of 1-3 weeks. The frames are then stuffed with moss and then covered in foliage. The entire process can take many months to create. 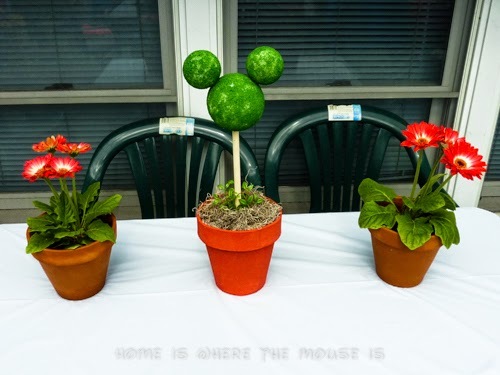 Using the topiaries as inspiration, here’s an idea for a DIY Mickey Springtime Topiary you can create at home. 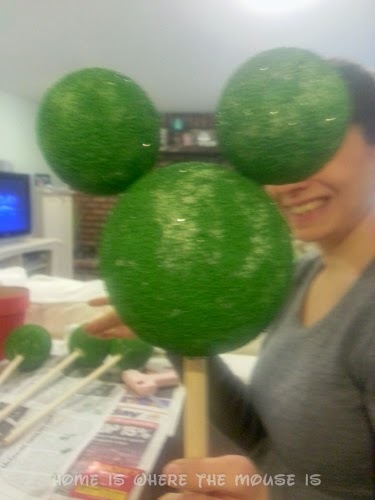 Mickey Topiary centerpiece for Jackson’s “Mickey and Donald Had a Farm” Party! 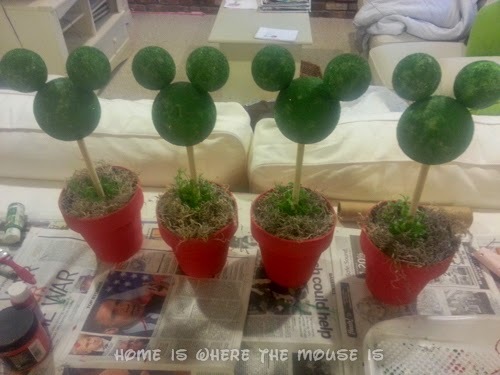 I originally made this craft for my son’s Mickey and Donald Have a Farm birthday party. We used them as the centerpieces for the tables. 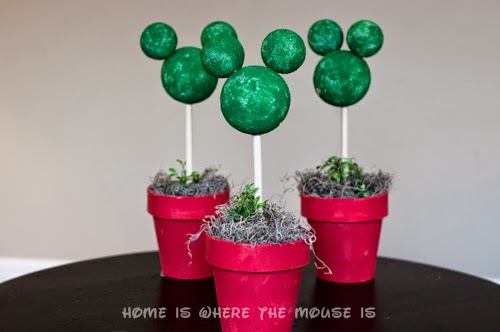 Our project won’t take as long to create as the Disney topiaries, but it will be just as beautiful. medium spheres for the ears and one cube to secure the dowel in the pot. 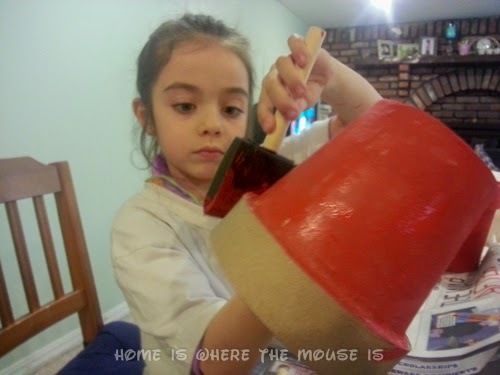 First we painted the pot and the sphere shaped Styrofoam with the green paint. It’s easier to use a foam brush as opposed to a regular paint brush for this process. You may need to do a couple of coats to achieve a deep green color. Bella Paints a flower pot. After they dried, we hot glued the ears on the head. After they were dried and set, we hot glued the dowel to the head and stuck it in the pot. It helps if you dig a small hole with the dowel first, then apply the glue. Place the cube shaped Styrofoam into the flower pot. Stick the dowel inside the Styrofoam. If you find it to be wobbly, dig a little hole first and place some hot glue inside. Then insert the dowel into the Styrofoam. leaves, just like a real topiary.